Episode 1: Prologue To Battle! The Return Of Goku! | Welcome to "The Weasel's Last Fart!" The English version of “Dragon Soul” (sung by Sean Schemmel) from the DVD is not the same version they use for the TV version. Instead it’s a shorted version sung by Vic Mignogna. It’s kinda neat, check it out here. In the first scene with Bardock confronting Freeza, all of Bardock’s blood and scar is removed! They really did an awesome job with this, I mean I’m not saying “Yay, it’s edited!” I’m just saying the digital painters did a really good job covering this stuff up. There are parts where Bardock is moving through crowds of people, moving around, getting blasted and having flames all around his face and still, it held up really well. Even that little split second where Bardock punches that guy, even HIS blood is edited even though no one would really ever notice it. I thought purple blood was OK! Well, I guess not. Also in the recap, Piccolo’s blood is turned into spit. Also when Goku comes into the shot, all his blood is gone as well. All those edits and we didn’t even get to the title screen yet! Speaking of the title screen. The TV version uses a different font. 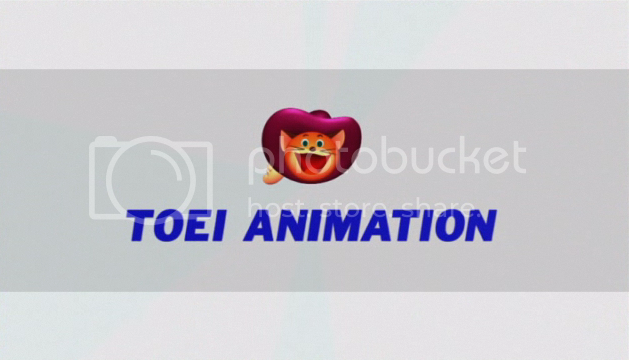 I kinda like the TV version better, it looks like the original Japanese font they used. Very clean and straight forward. As Bulma lands on Roshi’s island she is soon greeted by Roshi and Krillin! Roshi’s beer has been changed to pure light! Eventually Goku makes it to Roshi’s island as well. Soon after, the stranger Raditz also lands on the island telling Goku he’s his brother and oh yea, he’s an alien! It becomes clear that Raditz has bad intentions and Krillin asks him to leave. This dosen’t go to well and well, Krillin get’s tail smacked into Kame House. His blood is changed to spit. 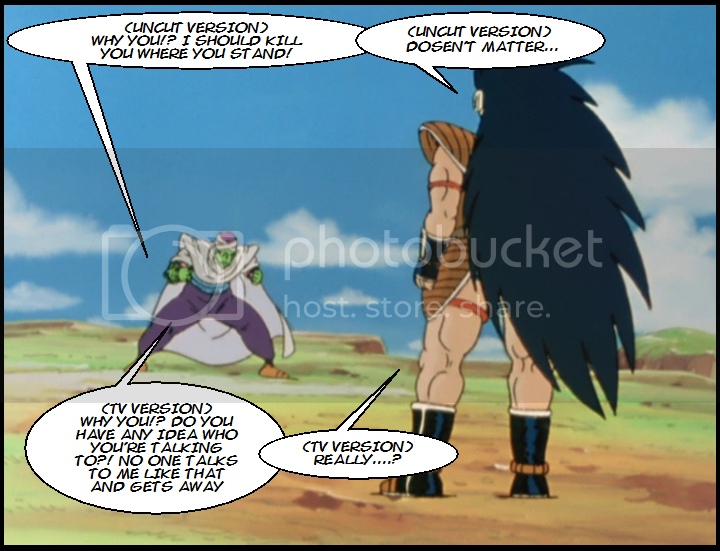 Raditz asks Goku how he could have forgotten about his mission. This is the last edit, and the episode ends soon after. The next episode previews are now shown right before the credits instead of after the credits. The ending theme is the same “Yea, Break, Care, Break” from the DVD version except the animated scenes that go with it are all over the place and the song is cut down. It’s not actually edited to be shorted it just fades out in the middle of the song as the credits end. It leaves a bad taste in my mouth. After the credits, the TV version does something really cool. It plays the “Toei” logo! Why isn’t this on the home release?! Gah! One Response to Episode 1: Prologue To Battle! The Return Of Goku!